Categories: Author, Books, Country, COwboys, Horses, Love, Novels, Published Books, Reading, Romance, Series, Writing | Tags: #amwriting, Author, Authors, avonromance.com, Books, cowboy romance, Cowboys, Love, Publishing, Romance, Stephanie Hurt, Stephanie Payne Hurt, Writers, Writing | Permalink. It’s finally Friday… hope you have an awesome weekend planned. My son is out of school for 10 days so I’m happy to spend time with him. As for writing, do you have fun with it? Me, yes I love to write. It’s a big part of me that get’s to flow from my fingers daily. Some days I struggle when something is on my mind, but I still enjoy it. Writing is a stress reliever, which is great therapy for me. I’ve heard writers say that writing isn’t fun, it’s just something they have to do. What? I just don’t understand that frame of mind at all. For me, writing is fun and I think it’s what helps me stay sane in this insane world we live in. After a busy day, I can sit down at my laptop and lose myself. Even if it’s just an hour or so, but it helps clear my head. Don’t forget all the fun of meeting such wonderful people, other writers, bloggers and reviewers. Then you have the great fans that fill your inbox with wonderful words that make you want to write even more. It’s a wonderful life, the life of a writer. Writing is fun, if you don’t think it’s fun, then maybe you need to get lost in it for a minute, then rethink it. Categories: Author, Books, Coffee, COwboys, Experiences, Uncategorized | Tags: #amwriting, avonromance.com, Publishing, Romance, Writing | Permalink. I’m working on the last of the Five Oaks Series and feel a bit out of sorts. Not sure if it’s a feeling of being glad it’s almost at an end or sad about it. When you pour your heart into a series and the characters are part of your daily life for over a year, it’s hard to say goodbye. Then again, as a writer, I’m ready to begin the new series and stand-alone manuscripts that are outlined and ready to come alive. With the plan of putting this series to bed by the end of this year, it’s played with my mind. How do you feel as you get to the end of your series? Do you start to mourn the end or relish in the thought of it? Categories: Uncategorized | Tags: #amwriting, manuscripts, Romance, series, Writing | Permalink. Good Friday everyone! Yes, it’s finally Friday!!! Sorry I haven’t been posting much, but I’m trying to finish Maggie so I can finish the Christmas companion book to the Five Oaks Ranch Series. But, I was sitting here working on Maggie this morning and it’s amazing the difference in writing her story. For one, the four brothers stories were of course written from the man’s point of view. I’m back to writing from the woman’s point of view and she’s sassy that’s for sure. I’ve enjoyed this series so much and sadly all good things must come to an end. Maggie’s story is intriguing with the secrets she’s kept, the over protectiveness of her brothers and the great love she builds with the forbidden man in her life. For those that have been inquiring about Luke, he’ll be out really soon. He’s with my editor right now and should surface soon. I think you’ll like his story. Now, back to Maggie. Have a great Friday! Categories: Uncategorized | Tags: #amwriting, avonromance.com, Five Oaks Ranch Series, Romance, Writing | Permalink. It’s Monday morning and my weekend was way too short, but exciting. Saturday was my book signing in Zebulon. It turned out really well and I’m excited about the future events that could spin off of it. Now to add to my excitement, today the article I wrote for Southern Writers Magazine’s Suite T blog is available on their website. Here’s the link for you to go by to read and share: http://southernwritersmagazine.blogspot.com/2015/11/lining-story-up.html. The article goes over the way I line up a story before I write it. I do hope it helps other writers. My manuscript that is on Wattpad is still racking up the votes and reads. The comments are really good and I hope that helps with the stories success. It’s still in the hands of Harlequin, so fingers crossed that it does well. Categories: Uncategorized | Tags: #amwriting, Author, avonromance.com, Blog, Outlines, Romance, Southern Writer's Magazine, Suite T Blogs, Writers | Permalink. It’s finally Friday. Wow, what a week! My submission to Harlequin has gone from a ‘Received’ status to a ‘In Progress’ status. Per the help screen, that means it’s on an Editor’s desk. Let’s just say I’ve check my email and status so many times that my laptop should automatically go on the site as soon as it’s opened. 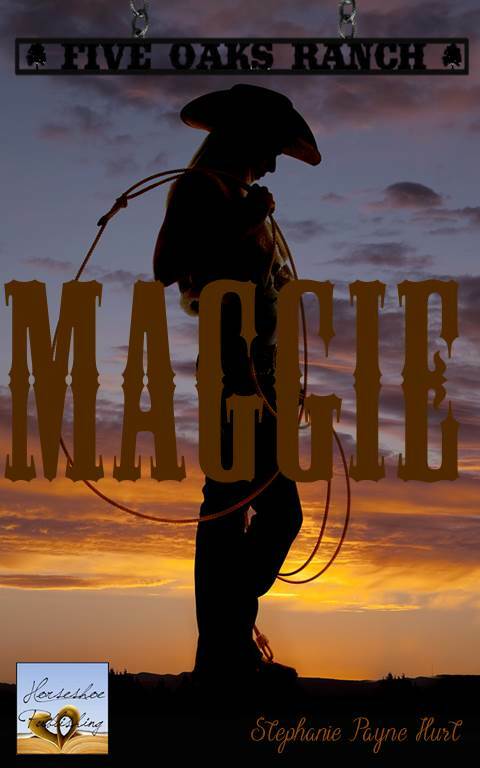 As for the Five Oaks Ranch series, well I’m five chapters in on Maggie, which means the series is almost complete, sadly. I’ve come to know these siblings so well. They’ve been a part of my daily writing for over a year. The last book will be like a keepsake as the final story, the parents will be told. It will include recipes and Christmas goodies. I’m excited about it. 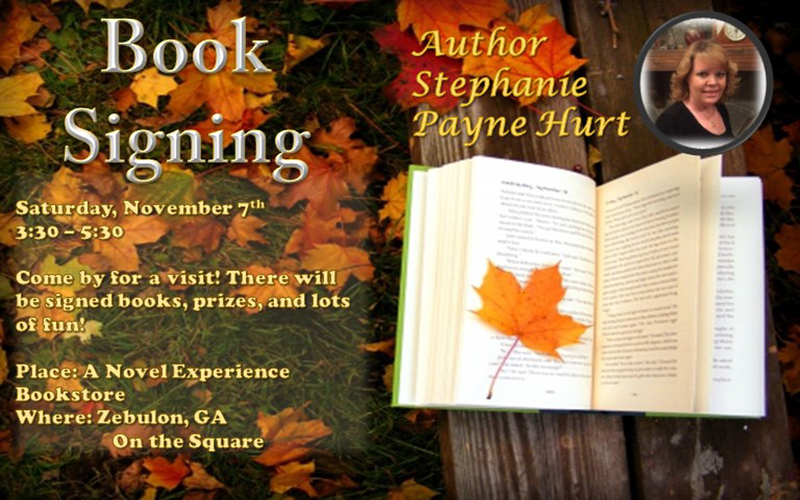 Tomorrow is my local book signing, which excites me. With every book signing, I gain more knowledge on ways to make them better. Since this one is in my hometown, I look forward to seeing old friends. The last one at this bookstore was great. So many friends and family came out to support me. This time I have a really cool gift basket to give away and possibly some books every thirty minutes. So, enjoy today because the weekend is only hours away! As always, good writing and May God Bless you.. Categories: Uncategorized | Tags: #amwriting, Author, avonromance.com, book signing, Book stores, Romance, Writing | Permalink.